"Susan is able to tell this story like no other director. Engaging, personal and hopeful all at once." An honest film showing what anxiety is like, giving hope to anxious people that they can feel better. Forty million Americans suffer from anxiety disorders. In this revealing film a dozen people from diverse backgrounds describe how they have struggled with anxiety. Their symptoms cover a wide range from excessive worry, uneasiness and fear, to more extreme symptoms such as compulsive behavior, post-traumatic stress syndrome, phobias, and torturous panic attacks. The film takes you on the crippling ride people with anxiety go on every day. These people are stunted by the fear of what would happen if ... instead of living life. The film explores the unpublicized fact that anxiety is the most treatable form of mental illness. The real-life stories of the people demonstrate how they were able to get on the path to recovery via various therapies. This is the story of how one synthetic chemical, used to make Teflon products, contaminated a West Virginia community. Tucked in the rolling hills of West Virginia, the town of Parkersburg is described by those who live there as an idyllic place to raise a family. It's also home to a sprawling DuPont chemical plant that manufactures Teflon. Wilbur Tennant’s family farm was located next to a “non-hazardous” landfill operated by the chemical company. When he noticed his cows were mysteriously dying, he filmed what was happening on the farm, and the toxic legacy of C8 – DuPont's Teflon chemical – was discovered. 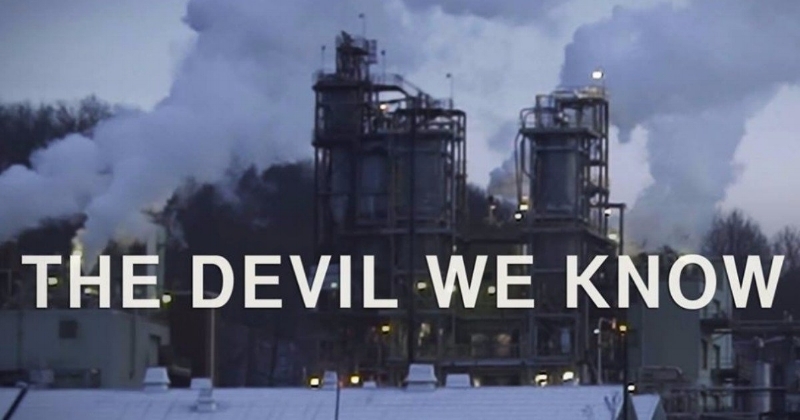 The film takes aim at powerful corporations such as Dupont and 3M, following a group of West Virginia whistleblowers who claim both companies knew of the harmful environmental properties of the patented chemical Teflon, and covered it up for decades. The documentary follows a litter of puppies from the moment they’re born and begin their quest to become guide dogs for the blind. Cameras follow these pups through an intense two-year odyssey as they train to become dogs whose ultimate responsibility is to protect their blind partners from harm. Along the way, these remarkable animals rely on a community of dedicated individuals who train them to do amazing, life-changing things in the service of their human. The stakes are high and not every dog can make the cut. Only the best of the best. The pick of the litter. Rise Documentary Films is pleased to present The Sentence by first-time filmmaker Rudy Valdez. The Sentence tells the story of Valdez's sister Cindy Shank, a mother of three beautiful little girls who received a 15-year mandatory sentence for conspiracy charges connected to her ex-boyfriend’s crimes.